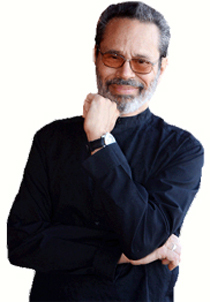 Composer, guitarist and music director, Leo Brouwer was born in Havana, Cuba in 1939. He studied with Isaac Nicola, Pujol's pupil and specialising in composition, completed his studies at the Julliard School of Music and at Hartt College of Music. In 1987 Brouwer was selected, along with Isaac Stern and Alan Danielou, to be honourable member of UNESCO in recognition for his music career - an honour that he shares with Menuhin, Shankar, Karajan, Sutherland and other musical luminaries. Brouwer has conducted orchestras around the world including the Berlin Philharmonic Orchestra, the Scottish National Symphony Orchestra, the BBC Concert Orchestra and the Mexico National Symphony Orchestra. He has been heard as both composer and classical guitarist at many major international music events and his CANCION DE GESTA (Epic Poem) has been performed by orchestras throughout the world. His discography comprises over a hundred commercial recordings and his works have been recorded by John Williams, Julian Bream, Franz Bruggen and Harry Sparnay as well as The Toronto Festival, the London Sinfonietta and the Liège festival. Brouwer has also written many film scores including A WALK IN THE CLOUDS and Alfonso Arau's internationally acclaimed LIKE WATER FOR CHOCOLATE. He has served as General Manager of the Cuban National Symphony Orchestra for ten years and since 1992 conducted the Córdoba Orchestra in Spain. In 1998 Brouwer was awarded the Manuel de Falla prize and in 1999 the National music prize for Cuba. In recent years, Brouwer has continued his unique series of guitar concertos (Concierto No.7 "La Habana", Concierto No.8 "Concierto Cantata de Perugia", and "Concierto de Benicassim") as well as writing for a rich variety of other ensembles, most notably his horn trio of 2002, PICTURES OF ANOTHER EXHIBITION. His latest concerto for guitar is his DOUBLE CONCERTO (Book of Signs), premiered by John Williams and Costas Cotsiolis on 27th January 2004 at the Megaron in Athens. Leo Brouwer has now returned to live in Havana.